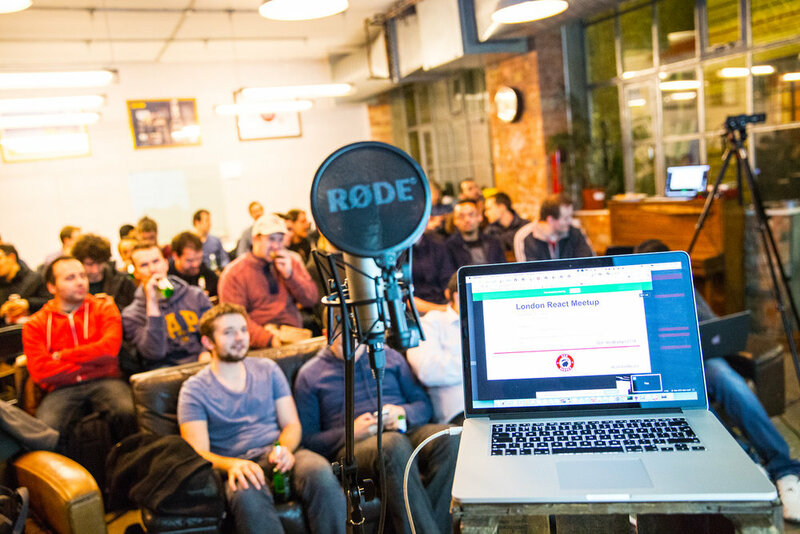 January 21st saw the first React meetup of the year, and we packed as many people as we could squeeze in to the Red Badger office for another round of talks from teams around London who are using React within their organisations. This month we had Jof Arnold, VP of Product from timecounts.org, Gary Champers, a Software Engineer at Football Radar, and Christian Moller Takle from Billeto. Jof has been a long term attendee of our React meetups, and we were excited to have him step forward and share his experiences with us. After a painful experience with using purely Backbone, Jof and the team at timecounts.org discovered React. There were elements of backbone (isomorphism and Backbone models) that he and his team felt they needed to keep, so they worked to merge Backbone with React to get the best of both worlds. Although it’s not necessarily the “correct” way of using React, it is a way to use React with Backbone without rebuilding everything from scratch. Gary came over from Football Radar to join our roster of external speakers for this month. Football Radar have a very data heavy system, and publishing hundreds of events a second then trying to publish them all to the DOM didn’t work out. After investigating alternatives to their current solution, they too came across React, this time using it in conjunction with Rx. Rx is a library for async dataflow programming, or in other words, a methodology for “data first” thinking, which Football Radar needed. He then went on to discuss how you can translate Rx into Flux, to really get the most out of React. Last but not least we had another of our React meetup regulars. Christian built upon the other talks, and took the stand to give an engaging, and very technical, talk. Elm is a functional programming language that is “not scary, just different.” Christian spoke about Elm language and put a functional programming spin on the core tenets of React. Using Elm, Christian showed how, as in React, you can improve your UI development by modelling your UI as data, and discussed the common concept of the virtual DOM. Here at Red Badger, we love hearing about new ways of using React in conjunction with existing technologies, so this set of talks really gave us a lot of food for though. I think several of our developers are particularly interested in delving further into Elm. As ever, this Meetup was massively popular, and our humble Red Badger office now fills to bursting point at every meetup. As a result, we have been speaking with Facebook, who have kindly agreed to let us use their offices near Euston for the next React meetup. So expect bigger, better things, and lots more beer and pizza! Sad you missed it? You can watch the full meetup over on YouTube.